Following on the heels of last week’s “Book EXPO America (BEA) 2010” in New York City there are many publishing industry blogs, authors forums, and traditional media that are covering the trends of the book industry. It was interesting to attend the event and meet with so many people in the Publishing and Book Selling business. I attended the convention with a team from New Year Publishing, including the publisher. We met with our book selling vendor, attended seminars, roamed the trade show floor, chatted with experts and even took in a Mets game with one of our authors. The publishing and book selling industries are on the verge of a massive sea change. Much like the music and the newspaper/magazine industries, the changes ahead will leave the roadside littered with bodies. However, much like any business that is impacted by new technologies and changing customer trends, there is also a lot of opportunity for New Year Publishing (and other non-traditional publishers) who can embrace the new new things that are around the next corner. The problem with the unknown is that it is unknown. While most agree that “Times, They Are A – Changin’”, nobody yet knows what will happen. We saw this in the music industry before Apple and iTunes took a dominant leadership position (some think Apple and the iPad will do the same thing for e-books that it did for electronic music). What did I learn at Book EXPO? I learned a lot, but mostly it confirmed what we have believed at New Year Publishing since the beginning.... there are lots of ways to be successful with your book, and anyone who tells you their way is the ONLY way is just looking out for themselves! *Too many publishers are concerned with their own needs and not the desires of the consumer (be that authors or book buyers). They are working to keep the old system in place, but we saw these changes happened in other industries, and the smart companies are getting ready to ride the wave of new trends. *The consumer wants what he or she wants -- when he or she wants it in the medium they want it. Thus publishers cannot fight, or try to out-market, the move toward digital products. Even at lower prices, a publisher can make money..... and many consumers are not opposed to premium pricing for the products with demand. *Consumers are part of a herd that can change direction at any time. While we are seeing the movement to Kindle and iPad, something else could pop up at any time and we best be looking for that too. Putting all the eggs in one basket in the publishing industry is to doom your future. *People now have in a 7/24/365 mentality. The idea that they would hear about a book and then go to a bookstore a few days later to make their purchase is old school thinking. Everyone who sells anything is now competing for the attention of the same consumer, and if you do not close them on the purchase immediately they will be on to the next thing. *1.5% of books sold last year were e-books. This year already up to 5% of all books in the early parts of 2010. The hockey stick sea-change is upon us. 2011 will have even higher numbers. This impacts not just sales, but the cost of producing books. This will effect prices. *The misnomer is that e-books cost a lot less to produce than printed books. But the difference is only about $6.25 as you still have editing, layout, cover design, marketing, etc... that do not go away in e-formats. But currently the sales point for hard cover and e-books is a bigger delta. We need to move the prices up on e-books in the long run or the economics will not support the work. *Meanwhile, digital sales are being driven by cheap price according to a study. I spoke with an employee at a Barnes & Noble who only buys digital books because they are less expensive. However, once a consumer starts using a ebook reader, they tend to go more and more in that direction. Some will still buy paper books for some reading, but some will NOT. 25% of e-book readers do not buy print any more. And once they start buying electronic books, they are more likely to buy their printed books online. *Most first time e-books buyers are new to the format in the last 6 months. This is another trend that will not level off or go away. Digital books is a big growth segment. *The publishing industry is about the author and the authors words. Authors must be compensated or they will abandon the traditional publishers and go with alternative options and non-traditional publishers (like New Year Publishing). More non-traditional options are popping up and authors are more interested in these options than ever before. *A million ISBN numbers were issued last year. That is a big number which shows that the market is flooded with product and finding a way to stand out is harder than ever. *Pressure is now on to find new ways to foster the "discovery" relationship. Book stores have always been key in discovery... people go in to a store to browse, touch and feel. They meet and talk with staff and other readers in book stores. Thus with fewer book stores, and declining numbers of books being bought this way... . how do authors and publishers enhance the discover process? This is the question that we look to solve. *Publishers must be digital NOW to tie the books of today to the future of the book industry (even if they do not know what the future looks like). Just because the book industry and new books released today can live in the old model does not mean they can do this in a year or two. Those who are not looking for how to make the transition (authors and publishers) will be lost down the line. *Authors are enamored with digital products, but are not sure where to start or what really works. Creating online communities, blogging, video, updated versions, etc... are all part of the answer, but not necessarily all of the parts that are necessary to find success and make money in the new world of books. Our goal all along at New Year Publishing has been to create a community of authors who can share best practices with each other. This is important to everyone. *Publishers of the future will look very different from those of the past. They must rethink what is their core business. It is much more than printing and distributing books. Publishers and authors must see their success as a partnership or both will fail. *E- books and other digital tools are here to stay.. Consumers want them, thus the debate about relevancy is past. It is now about finding the best ways to deliver content. people buying books, so this is not always a printed book vs. e-book discussion. *Before the Kindle, book buyers (who now own a Kindle) bought 10 books a year. Those same people bought 31 books a year once they got a Kindle (printed and e-books combined). *Enhanced products and updating products (free updates) are the wave of the future. But this is more than just adding random video.... Enhanced must provide real value to the consumer. Who will come up with the killer ap first? It is going to happen, and the smart publishers will be experimenting to get there first. how customers want the product (at the price they think is fair) and you can control piracy. You cannot let piracy scare you off... some publishers are cutting off their future by making this too high of a priority. There will always be some theft in digital products. *Editorial and marketing are the most important services publishers offer. Good writers need good editors who challenge them. They also they need guidance to market their book and promote their image and brand. Here is where New Year Publishing has always tried to help our authors, and the creation of a community allows them all to share ideas regularly. 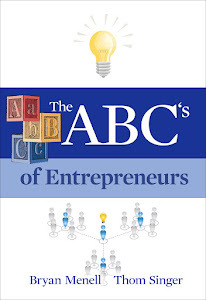 *Authors must be entrepreneurs from this day forward. Any author who does not see the promotion of their book as a long-term business will fail. *Authors must look beyond the old way of selling books and partner with publishers (and others, including other authors) as a means to creating the buzz and the long-tail of sales. This means investing time, effort and their own money. Authors are now in business with their publishers. Thinking the publisher has magic powers to drive the success of their book will lead them to failure. *Marketing is key. How you market gets you the power. If you have a platform, you will have sales. Creating interest and demand is not easy, but if the consumers want your product, how the changes to the industry shake out will not matter. If there is a market demand for your book, there will be sales. *Coop advertising in book stores was how big publishers of yesterday kept their power. They got their books to the front of the store by paying for that placement. With traditional bookstores going away, publishers do not know how to market to the consumer. That is one reason some have their head in the sand and hope that change will not come. They do not know how else to drive demand for their books. Many keep throwing more money at coop ads and placement.... and yet more than half the books sold are not bought through traditional channels. They must find other ways to invest marketing dollars. *What is the author’s platform? This is key question that publishers are now asking. Big publishers now want those already famous - those with established fame, giant Twitter followings, or other visibility are what most publishers are seeking today . They are using the famous as their answer to not knowing how to do anything else to promote books. This is bad for the publishing business as a whole as it makes it a tool for those already famous and provides no value to authors or readers in the mass of society. New Year Publishing is working to become a marketing conduit, trainer, partner, and guide for authors who want to write a book as part of their overall business structure. With the continuing changes happening all around the publishing business, we choose to work with authors who are excited about not just having a book, but creating a series of products that can have a real impact on spreading their message. 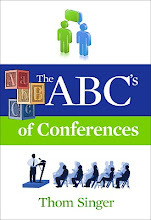 For more information, visit www.newyearpublishing.com. The post below is by Chris Brogan. It originally appeared on his blog and is re-posted with his permission. In my work with New Year Publishing I know first hand that promoting a book is harder than writing a book. I continuously invest time to discover unique and productive ways to help our authors get more attention for their books. 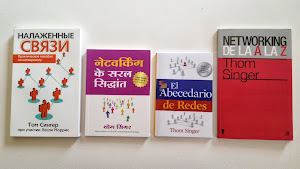 Additionally, I am the author of seven books on the power of business development and networking (and another one on public speaking skills), so I have to actively promote my own work. Many believe that if you write a book, people will line up to buy it. "If You Build It, They Will Come" is not the best philosophy for getting attention for your product (be it a book or anything else). With hundreds of thousands of books published each year authors must realize that they are responsible for becoming a marketing machine if they want people to notice them. While publishers and PR professionals can help, any success in building "BUZZ"rests with the author. The list that Chris has provided for social media tips is a great guide for everyone who has written a book, or is planning on doing so. I suggest you begin taking action on this list long before your book is released and then plan on continuing to do these things everyday for the rest of your life. Consider recording a video trailer for your book. Here’s one from Scott Sigler (YouTube), for his horror thriller, Contagious. My brother, Bill Singer, is New York City's premier "Saxophone Repairman". While I was in New York for business I dropped in on his studio. It was great to watch him at work. He was with a customer who had recently purchased a new horn and Bill was checking out the instrument and providing a tune up. It was great to watch him work with the saxophone (he is a real craftsman), but also to see his extremely high level of customer service. He talked and laughed with the musician as he fine-tuned the sax. His client told me that "Bill is the best in the business". This was not just a nice comment he made... he meant it. One could tell that Bill cared a lot about the horn and the person who played it. I am a big fan of "niche businesses", and.... "Saxophone Repairman" is both a specialized niche and a unique career! A friend emailed me to tell me that she was offered a job that I had told her about. That made my whole day! An amazing non-profit organization was in need of a good director, and an experienced non-profit executive who was looking for her next opportunity. I knew them both. I saw the connection. I sent an email and made the introduction. A month later she has a new job where she will shine and forever help the cause of this non-profit organization. The world will change for the better for everyone involved. It took me 45 seconds. People too often get busy, forget, or get distracted by squirrels. They want to have a positive impact on people, and they desire to be a connector. But in the end their own stuff gets in the way. Keep your eyes open today for a connection that you can make that will impact others in a positive way! We are all being pulled in many different directions. Very important parts of our lives have conflicting goals and it makes it difficult to succeed in any one area, much less capture victory in each space. This crazy-busy world means we often wear blinders, and that can limit our true effectiveness. To win you must know what it means to win. 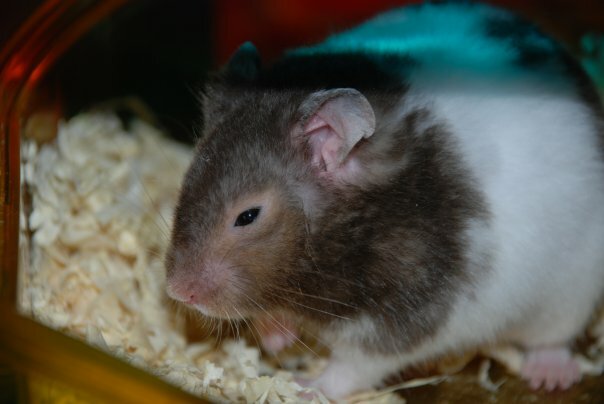 A hamster on a wheel never gets to a destination. It runs and runs, but stays in the same cage. Take a moment to know what success looks like so that you will recognize it when it appears. Get out of your cage and make things happen. Embrace the power of networking. You do not live on an island (I mean this metaphorically for those literalists in Honolulu or New York City!). In every industry the people you are connected to are the pathway to opportunity. Limit your participation in a "Relationship Economy" and you find yourself coming up short. In any economy capital and currency must move in multiple directions. The same is true in our "Relationship Economy". You must give and take. Many want to give, but then get too caught up in their need to take, and they never get around to it. You must do more than want,... you must take action. It is easy to get distracted by the squirrels (Did you see the movie "Up!"?). Think, talk and act in terms of mutual understanding. Discover and respect the points of view and needs of others. We instinctively play to our own strengths, but those who will achieve the most will also prop up others in their quest. Have their goals on your mind along side your own aspirations, and you will find yourself becoming more important in your business community (conversely, worry about only yourself and you will become expendable). The hamster on the wheel lives alone and spins on that wheel. You are not a hamster, so get out and communicate with other people and build up your "Relationship Capital". Saturday night and we had a plumbing problem. The master bath tub faucet decided that it did not want to stop running the hot water. Not just a drip, but a full stream of steaming water down the drain. We had to turn off the water to the whole house to stop the flow. The thought of no running water until Monday was not appealing. However, my wife could not reach our regular plumber. She left a message, but after a few hours we had not heard back. He is an independent businessman, but that also means we were not going to hear back on Saturday night. It was quickly approaching dinner time, and I needed water to cook. I had to turn to desperate measures.... I took out the Yellow Pages. I will be honest, I thought about going to the internet, but it was one of those times that I knew that "Old School" was the best answer. I called a local service company who has the best name recognition. Their ad mentioned that they did not charge inflated weekend rates until after 8 PM. Sounded good. The weekend operator took my information, but I did not get a return call for over 30 minutes, and it was now 7 PM. I went a different direction and called them back to cancel my request. AAA Auger Plumbing had a large ad that mentioned they do not charge any additional rates on nights or weekends, and they were always on available with trucks all over town. I rang, they answered, and assured me someone would be at my home shortly. The plumber, Jose, showed up a half hour later and did a great job of solving the problem. Within an hour our bath tub had returned to normal and the night's trauma was solved. It was not expensive (although not cheap, either!). The leak was fixed and we could get on with our weekend with running water. Even in this day of the internet, it was an old-fashioned Yellow Page ad that lead me to finding the right answer. After it was all done I ran a practice twirl through Google to find my way to the right plumber, but they all looked the same in the search results. The Yellow Page ads were my fast pass to stopping the running water on a Saturday evening. My friends recently purchased a hair salon and are in the process of relaunching the company and expanding the brand in Austin. If you are not familiar Elan Hair Salon in Jefferson Square (Corner of 38th and Jefferson), you need to check it out. I love watching entrepreneurs in action, but it is not everyday I get to also be a customer! For the past few months I have been having Colleen cut my hair, and I have to admit... they have been the best haircuts I ever remember (including my 1980's frat-boy "flat top"... oh yes, it is true). The salon is upscale, inviting, and they make you feel very welcome. My wife also gets her haircut at Elan, and she looks great! (of course, she always looks great). They take the time to understand your style, and deliver the goods every time! Colleen took extra classes in New York City to be certified to deliver the Brazilian Keratin Treatment (also known as "The Brazillian Blowout" or "Keratin Hair Straightening"), about which my wife raves. The great thing about Austin is that entrepreneurs exist in all industries. Businesses in the technology community, healthcare, financial services, the creative class, real estate, media, marketing, consulting, law, etc... are all thriving in Austin. I love seeing companies take on new and exciting directions. My friends at Elan are doing just that! Last night was the Open House for Smiley Media's new office space in Downtown Austin, Texas. The party was a grand opening of the new home for the fast growing company, but star of the night was the amazing build-out of the floor that was designed by The Bommarito Group. Smiley Media CEO Stephen Oskoui had a cutting-edge vision for a functional and inspirational office that would serve the needs of his expanding business and facilitate creativity in the souls of all who work there. His ideas, coupled with the unique execution from the designers, produced the best new office space in Austin. It was cool to walk around the floor and look at all the views, conference rooms, phone rooms, funky cubicles, a cafe, a secret room, and amazing artistic touches. The center-piece was "The Nest". This large over-sized sculpture (eight feet high) of twigs and branches encircled as a cocoon over a cozy sitting area where ideas can be "hatched". It was not something you find in the average office. It was simply cool. Smiley Media is hiring and continuing to grow. They were #168 on the 2009 Inc 500, with revenues over $30 million in 2008. With all their success, they are still one of the best kept secrets in the Austin Business Community. There was an interesting article in yesterday's Wall Street Journal by Sue Shellenbarger about Stay-At-Home-Dads. The article, "Daunting Task for Mr. Mom: Get A Job", discussed the issues that dads face after devoting time to being the full-time parent when they return to the workforce. I enjoyed the article and I always read about this topic (Stay-At-Home-Dads) with interest, as I was at home with my oldest daughter for two years when she was a baby (she is now 13). My wife was promoted to a job she had desired, and we made the choice together that I say home for two years. 13 years ago being the dad at home with the kids was like being from Mars, compared to today. It was very rare. The point that is always ignored in stories like this about moms or dads who stay home is the importance of networking. 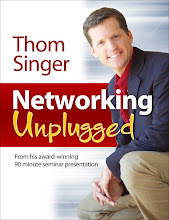 Granted, I say this as I have written several books on networking.... but in this case it was my life line. For the entire two years I was at home I scheduled one lunch and one breakfast appointment with people from my business community. I knew that the transition back to work would come one day, and feared that "out of sight" was "out of mind". Originally I took the kid with me to these meetings. She was an easy baby, and thus was happy and quiet in restaurants. When she became mobile (and could no longer be contained during a meeting), I would trade babysitting with neighboring Stay-At-Home-Moms (there were NO other dads). They would watch my kid for these short meetings, and I would watch theirs while they went on other errands. The power of networking was evident two years later when I went to find a job, as I had several opportunities and nobody had an issue with my two years at home. It was well known and understood in the business community that I had taken this detour from my career, and that I was proud of my decision. Unlike the men in the WSJ story, it was a badge of honor. I had several companies that were interested in having me join their team. 11 years later this is the high point of my work history. I always positioned it as a positive for my career and I never was a stranger in the business community. I showed up at networking events, kept in touch with key influencers and served on the board of local business groups. Moms suffer from this issue, too. They disappear for years and then cannot figure out why they have troubles going back to the work world. You need to keep your connections alive, show up at industry events, and never let you time at home be anything other than a positive career experience. I still tell people that after taking care of a kid full-time for two years, there is no boss in the world I would ever find to be difficult!. Details, Details, Details. --- OR--- Ready, Fire, Aim! We all make mistakes. It is just part of the human condition. Nobody is perfect. I had a typo in the title of my blog post yesterday. With a random keystroke "Never Be Ashamed Of What You Do" became "Never Be Ashamed Of What Your Do". One small letter "r". My wife caught the mistake (this is proof she does read my blog!). She called me, pointed out the error, and voila..... it was fixed. No big deal. I was glad for her call. It reminded me that I need to be more attentive to detail.... yet it also reminded me that if I was a perfectionist I would never get anything done. I wrote that blog post in 10 minutes between meetings, and changed the title slightly as the last second ("Your" was the correct word for the initial title). Sometimes when we move fast things like this happen. I would rather do things and have to make minor corrections along the way then worry so much about errors that I never took action. I have written about this topic before, and I get emails from those who are perfectionists belittling me for my attitude of "Ready, Fire, Aim". Yet as I look at my life, I have accomplished many things with this philosophy. Sure, there have been bumps in the road.... and plenty of times that people have showed me my need to fix a mistake. I am not ashamed that I make errors. I am proud of the things I have attempted to accomplish. I have had some nice victories along the way, too! What do you think? I want a neurosurgeon to be a perfectionist.... but I am not so concerned if a blogger floats an extra "R" from time to time. I know a professional speaker who starts his talks by telling the audience "I am not a professional speaker". He goes on to underplay his ability to present, lowering the bar for his talk, while trying to make a point that he is "just a guy" there to share some ideas. Interestingly, he is very talented and earns money by speaking to business groups. He shared with me that he does this because he feels weird calling himself a "Professional Speaker". I got the feeling he is embarrassed by the title. He also stated that this undercutting his speaking skills sets him up to "wow" the audience, when his real ability shines through. Thus, his announcing his lack of talent is a trick. (Note, never start a presentation with the intent to trick your audience!). But it backfires. People often talk about his message being good, but that he is not really a professional. I have had conversations with mutual friends who say he is just a "dabbler" in the "speaking thing". Who wants to hire a dabbler? Be proud of your profession. Proclaim to the world the things you do well. I have no problem calling myself a "Professional Speaker". I love the profession, and I do a great job to positively impact an audience. My clients receive value from having me on their program. My talks are a catalyst to propel people from average prospecting to creating meaningful, long-lasting, and mutually beneficial relationships. I set the tone for an entire conference and help create connections that will lead to future opportunities. I am proud of my career. I am a Professional Speaker (Motivational Speaker, Business Speaker, Keynote Speaker, Convention Speaker, etc.... whatever you want to call it is fine. A rose by any other name would still smell as sweet!). How about you? Are you proud of what you do? Can you stand up and sing about your vocation to the world? Never be ashamed of what you do. Your pride will speak so loudly that you will win more business. As a professional speaker I devote a lot of time to watching everyone I can who delivers presentations. I am not there to critique those on stage (I do not share my observations with those I am watching unless I am asked. Even then I am cautious), but I am looking at style and delivery methods from which I can learn to improve my own abilities. Every time I am in the audience I consider myself at "Speaker University". Anyone, good or bad, is the professor, and I am the student. I am understanding of the fact that most people who speak at business events are not professional speakers. While I spoke over 50 times last year, and have already delivered 30 talks in 2010, not everyone who addresses an audience has the same desire to make their living doing this as a career. Most presenters are local executives and subject experts who have been asked to speak to share their knowledge or sought the opportunity to promote their business. Speaking is one of the best ways to expand your reputation and become more visible in your business community, and when done right you can have a positive impact on others. 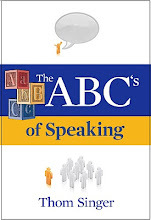 Speaking can be a tool to raising your profile. But just because you are smart, or have accomplished something amazing, does not mean you are ready to deliver a meaningful presentation. Much as a couch potato would not get up and run a marathon, you should not assume because you took a freshman level speech class in 1984 that you are ready to take the stage at a business event. Presentation Skills are just that.... skills. Thus they require time and effort to build up the experience to preform at the highest levels. When people are paying to see you speak, you need to respect their time and not "wing it" (heck, even when it is free you need to be respectful of your audience's desire to hear something meaningful). I recently saw a business speaker at a major sponsored event who was awful. Most members of the audience were hoping for a fire alarm or other distraction to keep them from choosing to stick needles in their ears. He made nearly every mistake of a beginner, but he speaks regularly as a tool to promote his company. He had a "verbal tick" in his over usage of the sound "ahhh" between sentences. I began counting at the ten minute mark and he crossed 30 "ahhh's" when I bored of making hash marks on my paper. About once a minute he said "ahhh". It was subtle, but annoying. This speaker talked of his passion for his subject, but you never would have known it by his enthusiasm level. He was static, monotone and pretty boring. He never moved from one spot and his voice was so soft that he should have had a microphone. The worst part was the hard close he made for people to hire him as a coach or to purchase his countless laundry list of other services. I am not critical of the concept of asking for the business, as that is important to anyone who has something to sell. Without asking people to buy, there would be no sales. But there is a fine line between letting people know what you have to offer, and making the whole presentation about the captive audience being made up of easy mark prospects. I felt cheapened by his self-centered attitude. The rule to remember is that it is called "Giving A Speech", which means every time you are on stage the audience comes first. You "GIVE" to them. When the whole talk is a commercial for you, your company, or your products / services... then you have it backwards and nobody will remember you for what you knowledge you poses. I find I like speakers who give me information and challenge me to take action. I want to buy their products when they touch my soul, not when they just try to touch my wallet. Use speaking as a tool, just don't be A Tool!!! Chicago Book Launch Party for "Some Assembly Required: A Networking Guide for Graduates"
This week was the official launch of my newest book, "Some Assembly Required: A Networking Guide for Graduates". 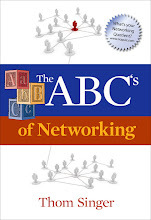 The book is the fourth in the series, and is focused on the importance of networking to recent graduates. 1. Finding their first job. 2. 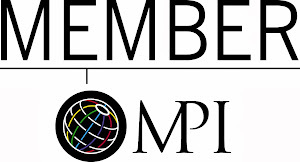 Establishing a foundation of mutually beneficial connections that will lead to a lifetime of opportunities. How you present yourself, serve others, and show your unique attributes will have an impact on a lifetime career. Starting early brings greater results. The Book Launch Party was held in Chicago (home of my co-author, Anne Brown) at The Skybox on Sheffield, which overlooks Wrigley Field. It was a fantastic party, and a great sign that the book will be a huge success. 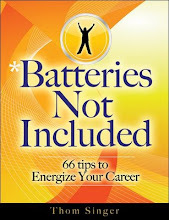 If you are in need of great graduation gifts, order your copies today on Amazon.com. 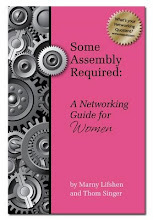 The Some Assembly Required Blog has been voted a Top 50 Career Advocate Blog (Networking Category) by eCollegeFinder.com. They recognize the top career resources on the Internet that strive to assist students in the transition from school to the workforce, and recognized this blog as a websites that has shown commitment to helping job seekers succeed in their future endeavors. This award comes out at the same time we are releasing "Some Assembly Required: A Networking Guide for Graduates" (with co-author Anne Brown). If you know a new grad, this book is an ideal gift. My wife and I had the opportunity to attend a grand opening event at the Gold Class Cinema in Austin, Texas with forty of our friends. The opening of Gold Class Cinema's fifth location in the United States has gotten a lot of buzz around town, and the experience definitely lived up to the hype. The lobby and lounge were great. We met early and hung around with our friends before going into see Iron Man 2 (which rocked, by the way!). The theater seats were more comfortable than our sofa at home (and we have a comfy sofa!). On top of that they they reclined!!! The staff was uber attentive and could be called to get you any food or drink need (or a pillow and blanket) by the push of a button. Think first-class on an airplane! The food was great and well above what one might expect from a movie theater that serves dinner during the show... and they have a full bar. Some reviews on Yelp and beyond have complained that Gold Class is expensive,.... however you are paying for quality food, top notch service and a luxurious environment. For a married couple with kids it is often not possible to go out for date night and have a high-end meal followed by a movie. The time commitment (plus the cost of a babysitter) makes it difficult. Gold Class Cinema solves this problem by rolling dinner and the movie into one. It seems for single people this would be a classy venue to bring a date, as the atmosphere is much better than a regular movie theater. Sara and I give Gold Class Cinema two thumbs up! ***Full Disclosure: The party we attended was a free VIP grand opening event, so we did not pay for the experience. But we will go back again when it is not free, as it was a good way to spend an evening seeing a movie. I was reminded of a blog post I wrote in 2005 about "the Lobster Story". I am not sure where I heard this the first time, but I observe the point of the tale on a regular basis. There are too many people willing to knock you of your trek to success, and not enough people willing to give of themselves to help you achieve. You can store lobsters in a box with very low sides. Any time that one lobster tries to climb out of the box, another will grab it with a claw and pull it back into the box! If you have a dream, goal, ambition or desire there is always someone willing to try to undermine your path toward success. Be ready for it. The good news is there are also people who will work hard to help you succeed. They are not as visible as the lobsters, but they exist. I have had countless people lend me a hand on my own journey. When you find these people do everything you can to cherish them and thank them for their efforts in getting you out of that box. Then make an effort to look around and find others whom you can support, encourage and inspire who are on their own journey! And never let the lobsters get you down! Many solo and small firm attorneys never seem to have the time to focus on the important aspects of promoting their business. While they know that marketing, business development, PR, branding and overall visibility is crucial to their future success, it seems to always be put off until tomorrow. This summer you can learn to make business development a priority by participating in a six meeting interactive program with four to six of your peers (from non-competing practice areas) facilitated by Thom Singer. Thom spent four years working in marketing and business development inside AM LAW 100 Law Firms. Since then he has coached and trained thousands of lawyers in the art of building their personal brand, networking and branding. A select group of attorneys from small firms who have a desire to grow their practices and understand the value of coaching and create a strong peer group are invited to join this program. Your participation would consist of six meetings over 12 weeks. Meetings would take place in same location every other week. Meetings will not be moved to accommodate the travel of an individual once final schedule is set. If any member or the facilitator must miss a meeting, the meeting takes place anyway with those who can be in attendance. (If the facilitator has to miss a meeting he will provide a guest moderator who will be briefed on the group and experienced on the topic. Facilitator will do his best not to miss a meeting, yet things happen in everyone’s busy schedules, thus this is mentioned "just in case"). Each meeting will last 90 minutes. Each participant will also be scheduled for two 1-hour one-on-one sessions with the facilitator / coach to personalize the project to their own needs of their practice. This will be a private confidential discussion. 7:30 AM – 9:00 AM Dates – Every other Wednesday beginning June 2, 2010 through August 11, 2010. For more information contact me at thom (at) thomsinger.com. Are You A "Thought Follower"?